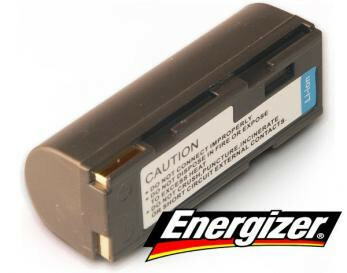 This Energizer PDR-M5 Toshiba battery comes with a two year warranty and is manufactured by Energizer, one of the most popular and trusted battery brands in the world. Energizer digital camera batteries offer long life and consistently reliable performance, which you need to get the most out of your camera thanks to advanced engineering and state-of-the-art manufacturing. A. mAh stands for milliamp-hour, a technical term for the amount of electricity a battery can deliver. Batteries with higher mAh values will in theory last longer between charges, which in turn should mean they have a longer working life before performance deteriorates. Q. What does 'Li-ion' mean? A. The term 'Li-ion' is an abbreviation of Lithium-ion. 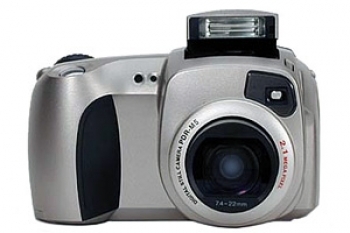 Lithium-ion are the batteries of choice in most current digital cameras, camcorders and mobile phones. They are quick to charge, relatively light in weight, and deliver long-lasting power. They can be charged many times without losing power, and suffer less from memory effect. Q. What does 'non-oem' mean? A. OEM stands for "Original Equipment Manufacturer". Where we state that the battery is non-oem, it means that we are not claiming to be selling the original manufacturer's battery but a generic battery which performs in exactly the same way. Q. The voltage on your battery is higher than my existing battery, does this matter? A. The voltage can vary from battery to battery. Our batteries may have slightly higher or lower voltage than that of your original battery. It will not hurt your camera if ours is higher or lower but obviously, you will want it to be as high as possible in comparison to your original battery. Ours are usually slightly higher which will not affect your camera but allow your camera to receive slightly more power. Q. The mah on your battery is higher than my existing battery, does this matter? A. Our batteries can often have a higher mah than the original manufactures batteries, it does matter but in a good way. The higher the mah - the better. The higher the mah, the more power you have in your camera and the longer you can shoot for. Q. Is this battery brand new? A. Yes, all of our products are brand new and come boxed straight from our manufacturers. Q. How do I know if this battery is compatible with my camera? A. There are several ways of checking compatibility; we display the compatibility for each battery on the product page. Alternatively, you can check the code of your existing battery, either displayed on the battery itself or referred to in your camera manual and compare it with the code displayed on this page. Q. Is this an original, branded battery? A. Unless specified, no - our batteries are high-quality generic batteries, which are designed to perform in exactly the same way as the branded versions – just minus the hefty price tag! They also come with a two year warranty to reassure you of the quality. Q. Why are your camera battery prices so low? A. We source direct from the manufacturer which allows us to pass on the savings to you, the customer. With digi-Quick.co.uk, you are paying for the battery, not the brand and the associated marketing costs incurred by the big manufacturers. Q. How long will the battery keep its charge? A. This is difficult to answer as people use their cameras so differently. The best thing to do is to compare power ratings (mah) of our battery with your current battery and you should then be able to gauge a rough expectancy for the length of time this battery will keep its charge. Q. How many shots will I be able to take with this battery? A. This is difficult to answer as people use their cameras so differently. The best thing to do is to compare power ratings (mah) of our battery with your current battery and you should then be able to gauge a rough expectancy for the amount of shots this battery will allow you to take in comparison to your current/old battery. Q. Does this camera battery come with a warranty? A. Yes, the battery does come with a two year warranty.